Musician Janelle Monáe made headlines this week with the new iteration of her song “Hell You Talmabout.” The Washington Post reflects on recent reactions to Monáe’s song and her growing presence on the national stage. 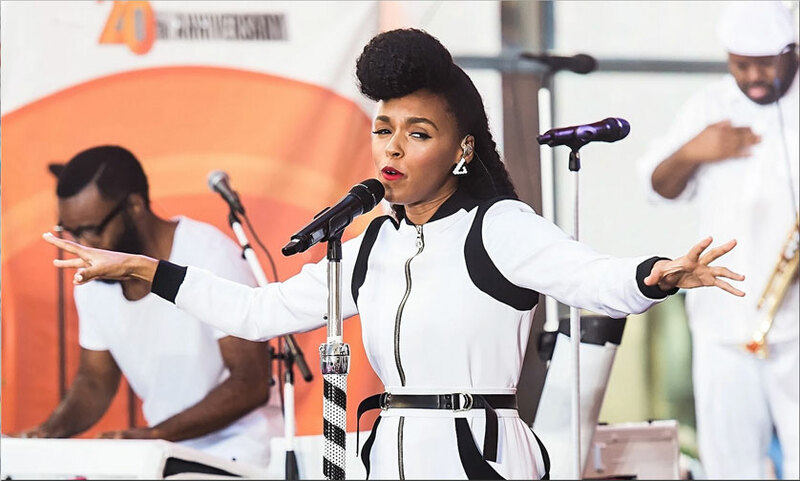 The Guardian discusses Janelle Monáe’s recent performance. The Guardian covers her appearance on NBC’s Today show and her efforts in support of the Black Lives Matter movement. Her powerful political song features chants of the names of many African American men and women who died at the hands of the police. Atena Farghadani, the long-jailed Iranian artist, won the 2015 Courage in Editorial Cartooning Award. Brain Pickings explores unpublished writings of French-American artist Louise Bourgeois. Jerry Saltz writes a memorial article for art patron Melva Bucksbaum. A supporter of women artists, Bucksbaum curated a show that featured over 100 works by women. The Guardian analyzes Robert McCrum’s list of the greatest novels. Robert McCrum’s 100 Greatest Novels list covers almost 300 years of literature but only includes 21 works by women. 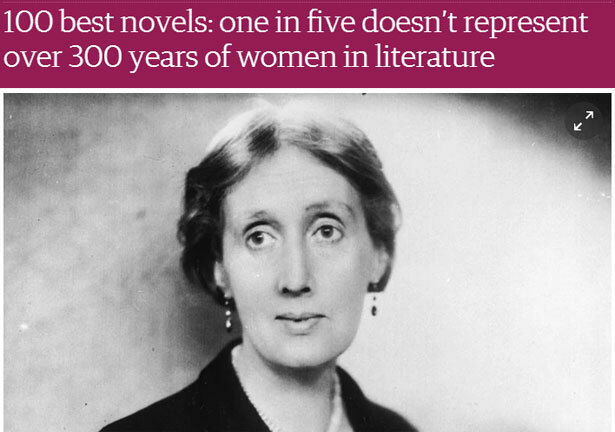 Writers Patricia Highsmith and Margaret Atwood were not included. The Huffington Post lists 14 women writers who dominate the universe of sci-fi. The Huffington Post lists books by ten women authors who were first published after the age of 40. The New Yorker explores the writings of Sagawa Chika, a nearly-forgotten Japanese poet. Sadie Frost employed an 80% female crew for her new film. Frost’s research revealed that only 23% of film crew members were women in the highest-grossing films of the past 20 years. Jennifer Lawrence is the world’s highest paid actress, followed by Scarlett Johansson and Melissa McCarthy. Actress Melissa McCarthy’s new clothing line hopes to break down stereotypes in the fashion industry. Ballet dancer-turned-actress Yvonne Craig died at the age of 78. Craig was best known for her role as Batgirl in the 1960s TV series. Time celebrates actress Maureen O’Hara’s 95th birthday by taking a look at photos from her career. 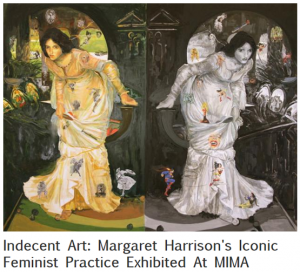 ArtLyst reflects on Margaret Harrison’s career. Margaret Harrison’s sexually-charged art exhibition in 1971 was dubbed “indecent” by the police, closing after a single day. 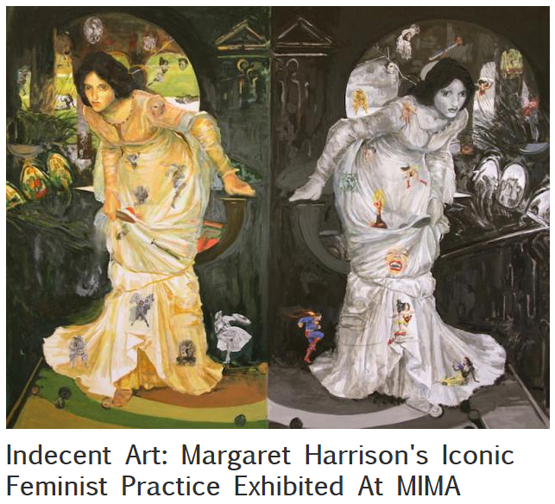 Harrison continues to expand her feminist art approach in her new exhibition at the Middlesbrough Institute of Modern Art (mima). Photographer Mary Ellen Mark’s last assignment was to document the state of New Orleans ten years after Hurricane Katrina. Organized by CNN and the International Center of Photography, the exhibition’s photographs include wall text and an online exhibition that elaborate on the subjects’ stories. Francesca Woodman’s photographs explore gender, representation, sexuality, and body in an upcoming exhibition at Moderna Museet.